Outdoor Living is a Breeze with a Charlotte Eze Breeze Outdoor Room! Archadeck of Charlotte has had great success in providing homeowners a way to gain more time enjoying their screened porch. 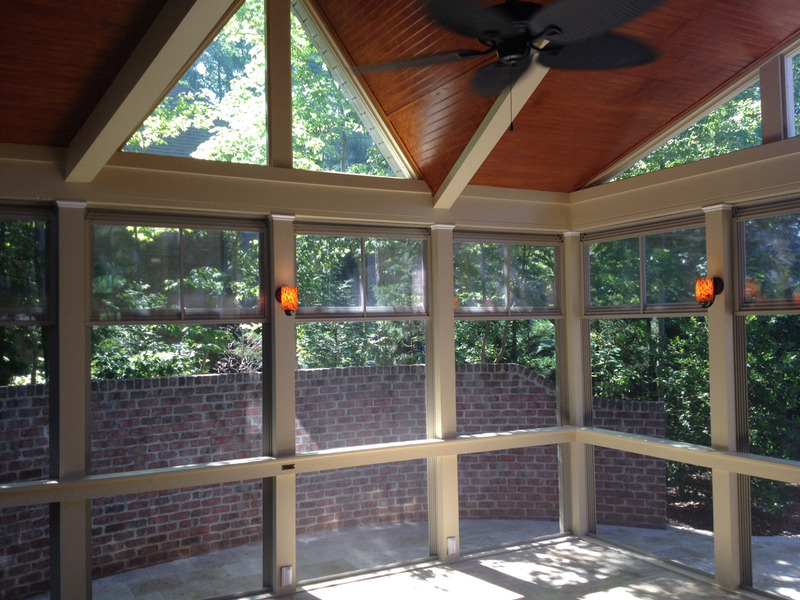 Through the use of a Charlotte Eze Breeze convertible enclosure system we can easily convert your existing screen porch into a multi-season outdoor room, or we can add Eze Breeze into the initial design on any new screened porch project you have in mind. Three No’s of 3 Season Rooms – NO pollen. NO pests. NO problem! The Eze Breeze system adds protection from uncomfortable outdoor temperatures, insects, debris such as dirt, pollen and other allergans, as well as the elements. 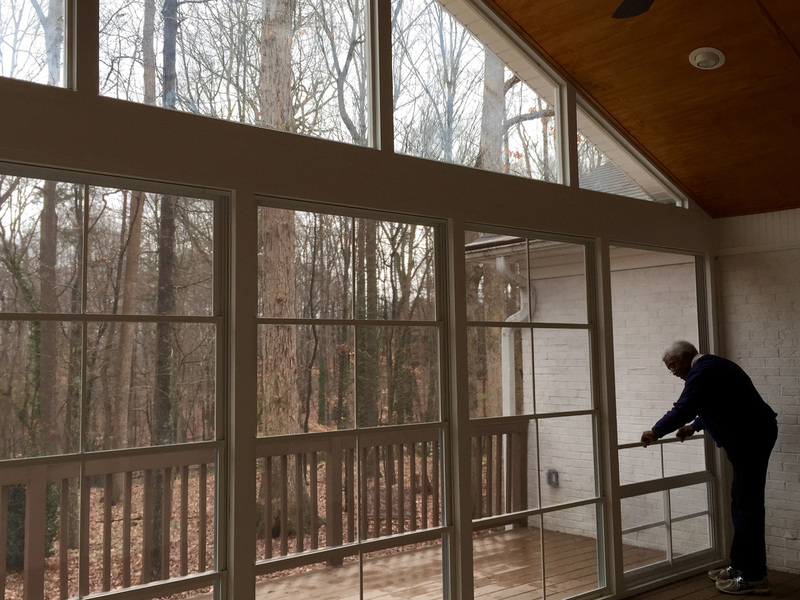 Extending the time you can enjoy your screened porch is not the only reason Charlotte homeowners are choosing the Eze Breeze system, other factors are influencing their decision as well. Let’s face it, sometimes you want the freedom of the screen but you don’t want the negative things that can still get through that screen. Screens keep out the insects and the harmful direct rays of the sun, but pollen and other allergans can still penetrate screen, as does the wind, cold, heat, high humidity and in some instances even a little rain. This system makes it possible to enjoy your porch without those negative factors getting in the way of your enjoyment. When the weather turns cold, you can instill the use of a space heater within your porch with Eze Breeze and turn your area into a 3-season outdoor living room as well. The beauty is that anytime you want to take advantage of a sunny fall day or enjoy an unobstructed view, this system can be slid out-of-the-way either horizontally or vertically, depending on which system you have, to get you back to the very reason you wanted a screened porch in the first place – to be closer to Mother nature and take advantage of the fresh air, gentle breezes and abundance of natural benefits in your own backyard! In most cases an Eze Breeze outdoor room is a substantial savings over the addition of a sunroom. 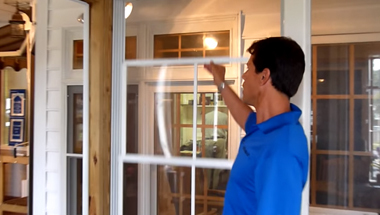 Local building codes do not require a permit when installing the Eze Breeze window system which saves both time and money. Additionally, you do not need to insulate, apply a termite treatment, vapor barrier, hear or air condition so the overall cost is much less than that of a room addition. 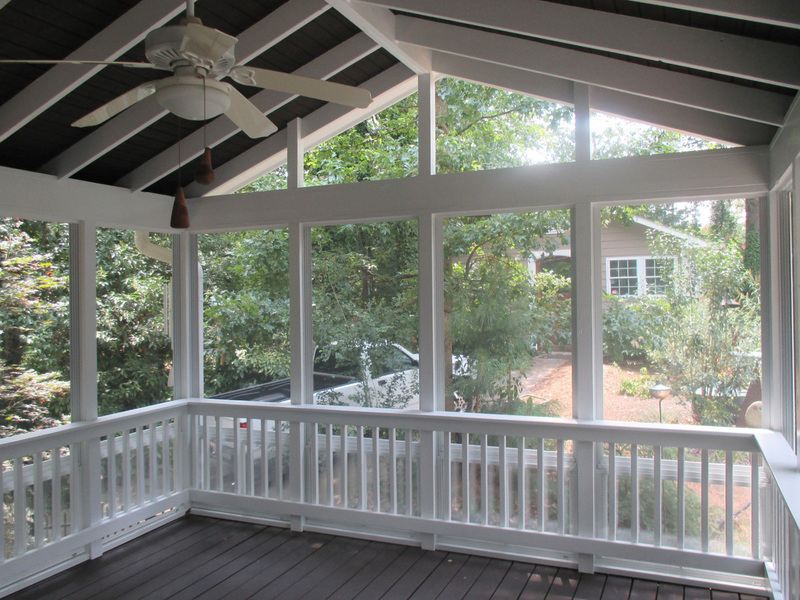 Eze Breeze gives you the flexibility to have a screen porch or a sunroom on a whim! By simply stacking the windows at the bottom or the top of the porch, or simply removing them altogether. A sunroom will not provide nearly as much ventilation, free air flow or allow you to choose an open air/ enclosed environment on a moments notice. 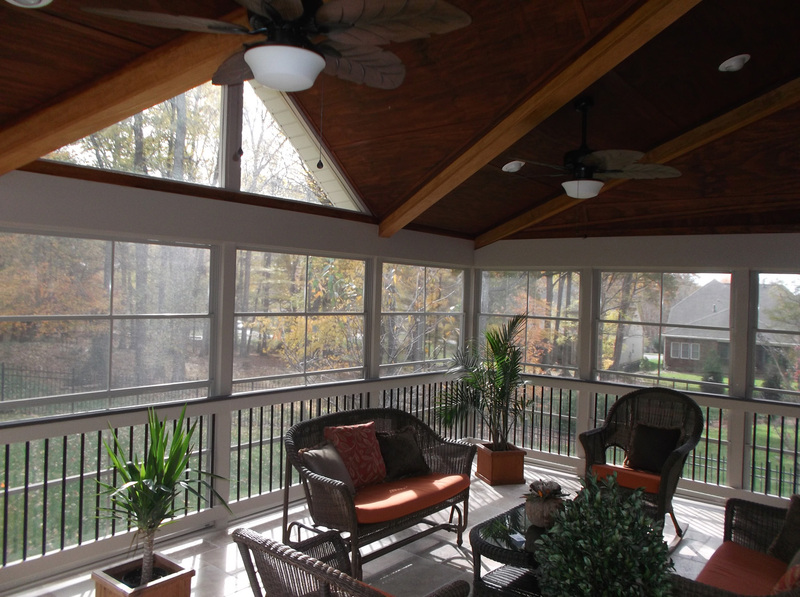 Read more about the benefits of an Eze Breeze room vs. a sunroom in our blog article titled: EZE Breeze screen porches vs. Sun Rooms? Requires minimal framing which means it delivers large, unobstructed views. Sure, a sunroom will provide similar views through the use of large picture windows, but with Eze Breeze you also get the benefit of free airflow anytime you wish. Eze Breeze windows are made of a tough vinyl, not glass and will not shatter or crack, and will revert back to their originial form when compromised, including the occasional “pop fly” that may get away when enjoying that backyard baseball game. This system will go up or down and stop at any point to give you as much or little open window space as you desire. The choice is always yours! To view a wide variety and price range of homes with Eze Breeze, visit our Eze Breeze completed project image galleries located on our website.